Is Your Restaurant Ready for a Power Outage? A power outage in a restaurant is no small inconvenience. Damage to equipment, food supplies and sales can be significant, especially if you aren’t prepared ahead of time. There are certain steps you can take in order to minimize losses and keep patrons satisfied. Waiting for the power to come back on or for a utilities representative to provide assistance can be too long a wait. Protecting your business with a backup power generator is a great way to ensure you don’t lose time and money when regular power systems fail. Train several employees and managers to be well-versed with operating the circuit breaker in case your power outage is the result of a tripped switch. Fixing the issue yourself is faster and more affordable than outsourcing the help. Perishable foods can spoil quickly during a power outage. Make sure you have easy access to extra ice to help keep food cold when the power goes out. Keep extra food thermometers on hand to monitor temperatures and have a supply of flashlights for navigating dark rooms and coolers. Your computers and registers will likely go out with the power. Having backup copies of reservations with phone numbers and weekly staff schedules can be helpful for reference. Sometimes the only solution to solving your power outage is getting in contact with your utility provider. Establish a relationship with your utility contacts before the event of a power outage and develop an action plan for your restaurant to follow before help arrives. Reviewing these tips, do you believe your restaurant is ready for a power outage? If not, you may want to consider acquiring emergency supplies to prepare. Tiger Leasing offers a variety of leasing programs to help finance any power outage supply upgrades. Contact us today for more information. Hotel, motel and inn furniture can be a highly influential factor for guests evaluating their stay. Out-of-date and worn furniture send a negative message to guests - making the environment seem unclean, uninviting and of poor quality. Keeping interior and exterior spaces fresh and modern can attract both new and previous customers and increase satisfaction. So what furniture options are available for updating your hospitality space? There are a wealth of types and styles of furniture available with designers ready to create custom looks for any hospitality environment. 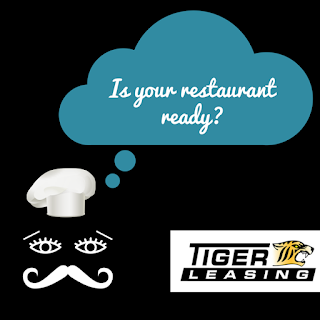 Creativity is extremely important in ensuring your establishment sets itself apart from the competition and financing is easy with leasing programs from Tiger Leasing. Check out the 11 fastest growing hotel interior design trends from Freshome for inspiration. If investing in new furniture isn't in your design plan, especially with frequent upgrades, refurbished used or surplus furniture can still be a great option. According to an article from Hotel News Now, a hotel renovation cycle peaks at around three years. This means that there is large quantity of near-new furniture looking to be reused or repurposed. 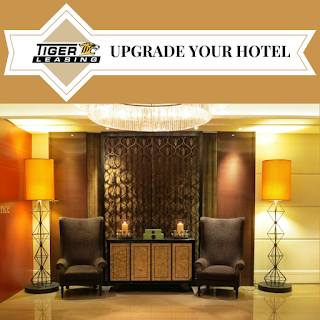 Your hotel can purchase “old” furniture and fashion it in new ways, adding style and decreasing costs. Another frequently overlooked option for updating your hotel furniture is refinishing packages. If you haven’t quite reached the point of another renovation but are noticing wear and tear, restoring furniture can be a cost-effective, short-term option. Although it’s recommended to invest in new furniture to keep up with changing styles and trends, refinishing can be the perfect in-between option. Whether you’re going for a top-down remodel, or simply enhancing your lobby with statement pieces, upgrading your hotel furniture is a worthwhile investment to increase guest satisfaction. The Tiger Leasing team offers a variety of affordable leasing programs to assist you in financing and is always available to answer questions. Reducing energy in your workplace not only benefits your utility bill, but helps the environment and contributes to a more energy-conscious staff. According to the United States Environmental Protection Agency, “Business and home offices use a significant amount of electricity for heating and cooling, lighting and operating equipment.” There are a variety of easy ways to cut back on wasteful energy use that make a big difference in the long run. Although it might not seem like it, idle electronics and equipment consume significant amounts of energy. Taking the extra seconds to shut down and unplug before the next period of use can go a long way. Vending machines: Before your office heads out on vacation or a long weekend, consider unplugging vending machines. Make sure the contents inside don’t require refrigeration before you switch off. Kitchen supplies: Chances are your toaster, microwave and coffee pot don’t require constant energy use. Unplug after each use to conserve energy. Monitors: Computer monitors eat up plenty of energy. Adjust your settings to take advantage of sleep mode and get rid of energy-wasting screen savers. Fans: Don’t forget to unplug your fans after you turn them off. Even if the blades aren’t turning, energy can be leaking out. 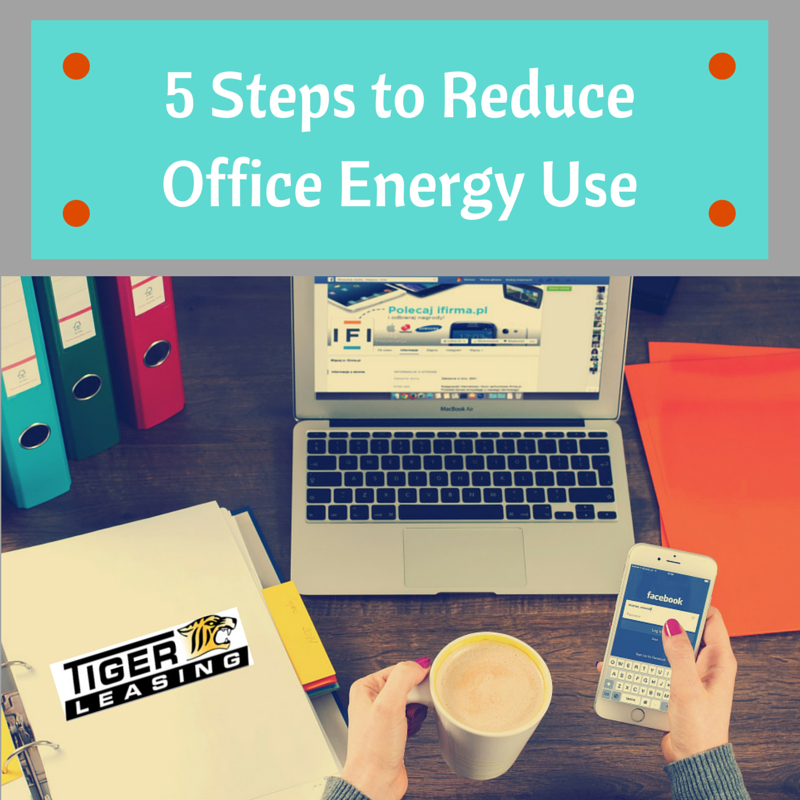 If your office is unable to go paper-free, consider alternative ways to cut back on printing energy use. Set up double-sided printing, print in black and white as much as possible, reduce your margins to capitalize on paper space and print in draft mode to use less ink. Create online versions of lengthy documents such as employee handbooks and manuals to conserve paper, ink and energy. Recycling is an easy way to get the entire office involved in reducing energy and waste. Provide clearly-labeled receptacles for paper products, recyclable plastics and regular waste. Set up an e-waste program to safely dispose of old electronics. Keeping an office well-lit takes a toll on utilities. Consider investing in these energy-efficient practices to curtail wasteful energy use. Use ENERGY STAR fixtures, equipment leasing can be a great way to acquire the green equipment your office needs! Install additional windows and skylights for natural light. Set up motion-sensor lighting in less-frequented areas. Telecommuting provides flexibility for employees and reduces office energy consumption. In addition, employees who work from home reduce their individual carbon footprint by eliminating their commute. By collaborating with office employees, you can achieve significant reductions in energy use with small steps. Investments in energy-efficient equipment can be a worthwhile asset. If you’re considering upgrading your office space, contact Tiger Leasing for more information on affordable leasing options.